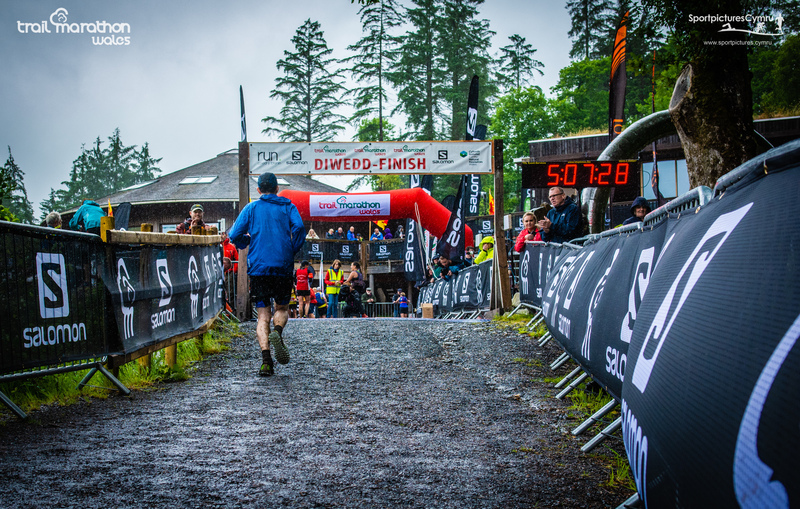 Wet conditions do little to dampen the spirits as almost 1000 trail runners across across a weekend of racing at Coed y Brenin for the 2018 Salomon Trail Marathon Wales. 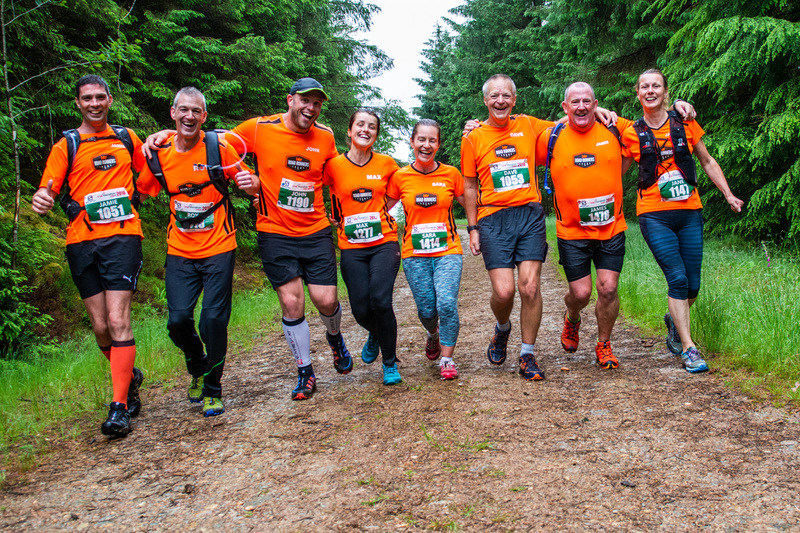 The 7th edition of the Salomon Trail Marathon Wales at Coed y Brenin Forest Park in North Wales on Saturday saw participants from across the world take on what is now renowned as one of the toughest and most beautiful trail marathons. In 7 years Salomon Trail Marathon Wales has grown to be one of the UK’s premium trail marathons taking in some of the most technical and beautiful aspects of this 9000 acres forest in the heart of the Snowdonia National Park, and has cemented itself as one of the top events on the UK trail running calendar. 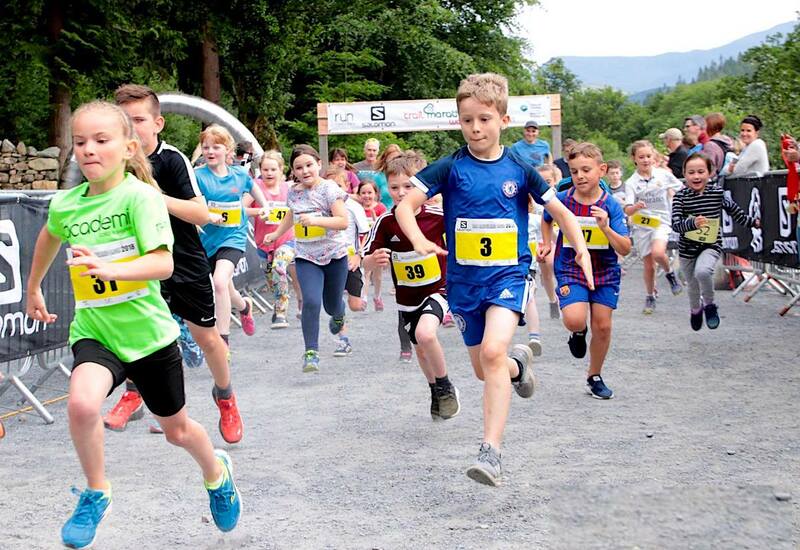 The racing at the weekend had got underway on the Friday evening with the second running of the Salomon Friday Night 5km event and Ras Anifeiliad Bach for under 12s, and almost 100 competitors across the two events kick started the weekend at Coed y Brenin! 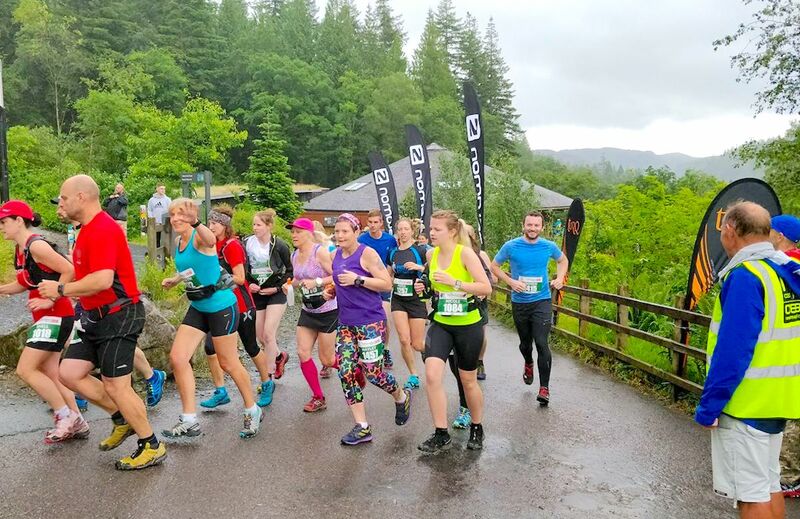 Saturday morning dawned to rain at the Coed y Brenin visitor centre, and although this might change things a little for the supporters (who were once again out in their droves) the runners were pretty happy with the cool, damp conditions versus the 27 degrees C that greeted them in 2017! 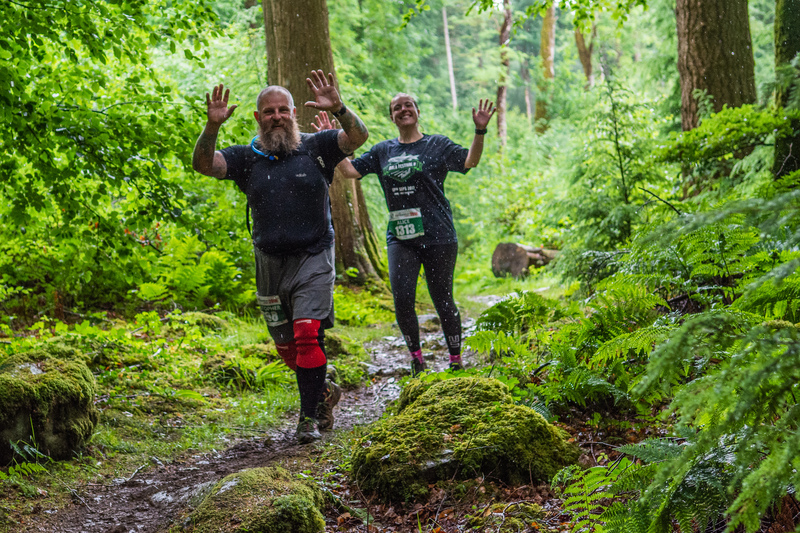 After weeks of dry and warm weather, the runners encountered light rain, which was a welcome sight for some at this iconic Welsh forest park, with runners from over 20 countries travelling from as far a field as South Africa, USA, Norway, Germany and Ireland. 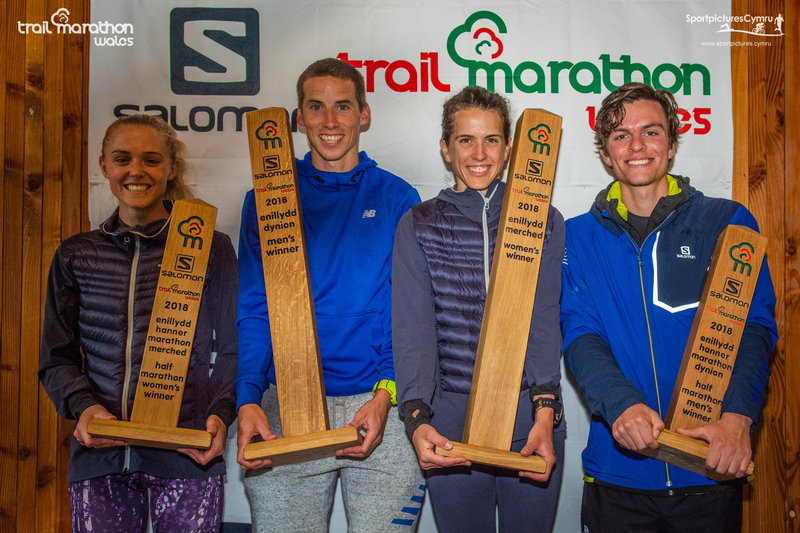 With the likes of GB internationals Emma Clayton, Max Nicholls, Katie Kaars Sijpesteijn, two-time winner and Welsh international Andrea Rowlands and recently crowned World Masters Mountain Running Champion Andrew Davies on the start line, racing was going to be fast. 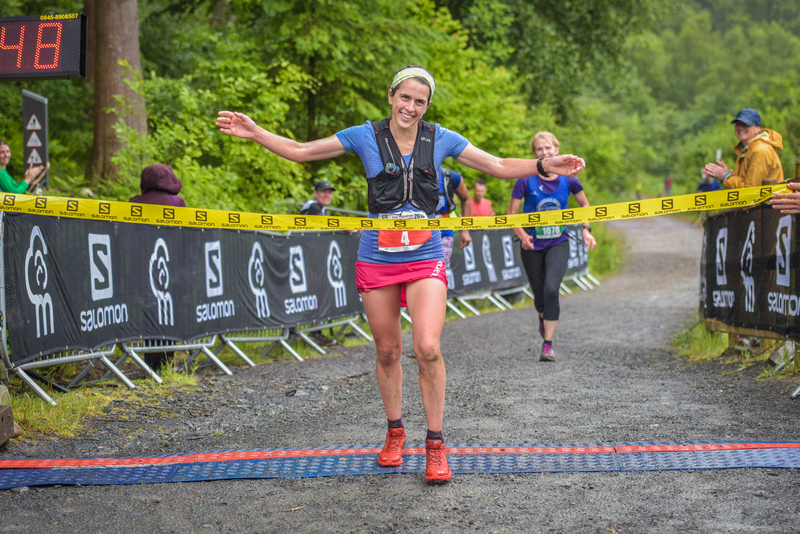 Add in Lakeland 100 winner and Salomon UK athlete Mike Jones, 2017 women’s half marathon winner Alice Taylor and a host of fast mountain and trail runners from around the UK, and we were in for a morning of top trail racing. From the gun (ranger Iori was the race starter as tradition states at TMW!) Stockport and GB athlete Andrew Davies strung out the field. The 2012 TMW winner who has a road marathon PB of 2hours 15 mins meant business and anyone who wanted to get close to the Welshman was going to have to run out of their skin to stay with him. Passing through halfway in 1 hour 31 minutes, Davies had built a commanding lead of over 10 mins from nearest rivals Mike Jones, Gwyn Owen, Tim Budd and Alun Thomas. 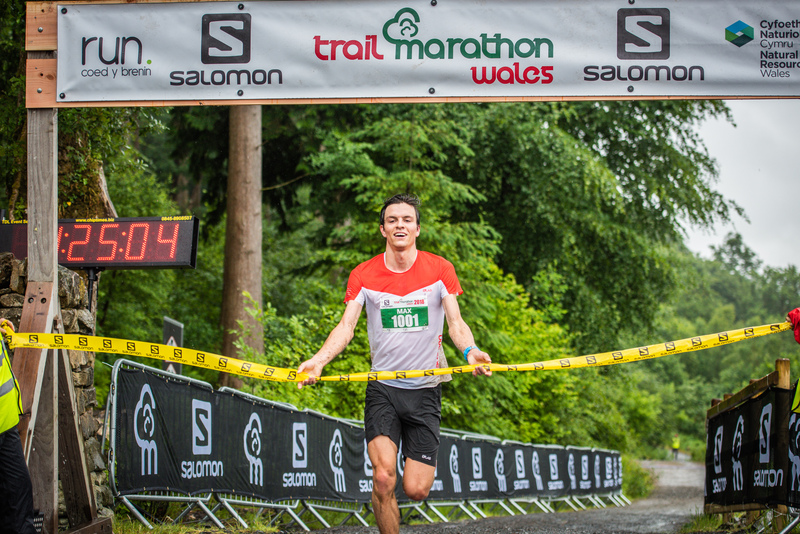 The race record stands at an immense 2 hours 53 mins from 2014, when Wales international Alun Vaughan galloped around the Coed y Brenin trails to take the win. However, the course changed a great deal in 2016 and winner that year Alistair Murray was the current course record holder at 3 hours 11 mins – Davies clearly had this time in his sights. 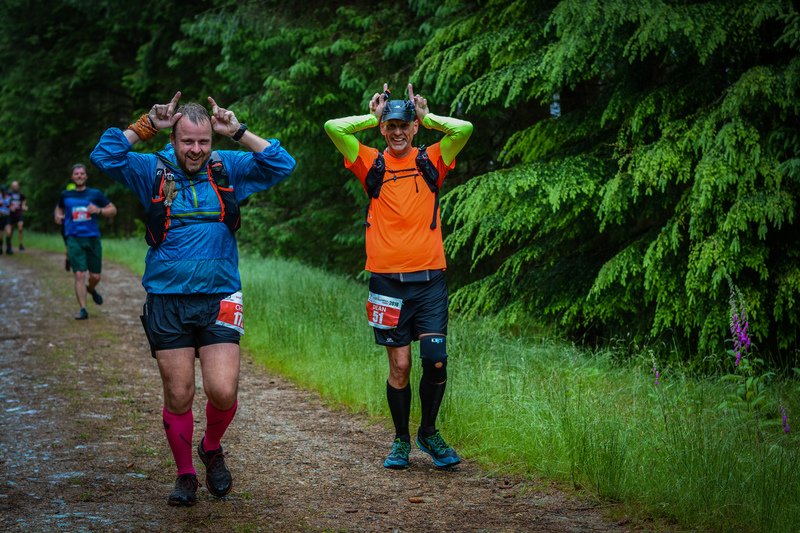 The second half of the race always proves hard and the relentless climbs began to take their toll on the chasers, including Mike Jones who at mile 20 went from 2nd to 5th, sighting a lack of energy and feeling drained as the big climb to miles 21 kicked in. However Davies maintained his amazing pace over the second half of the race and showed immense strength over the latter miles to extend his advantage to over 20 minutes by the finish as he came home under 3 hours in an amazing 2:59:11, taking almost 12 minutes off Murray’s 2016 course record. Behind Welsh international Gwyn Owen stormed through to take second in 3:20:34, with Kent AC duo Ben McGeown and Barnaby Day sharing third spot (3:25:27). 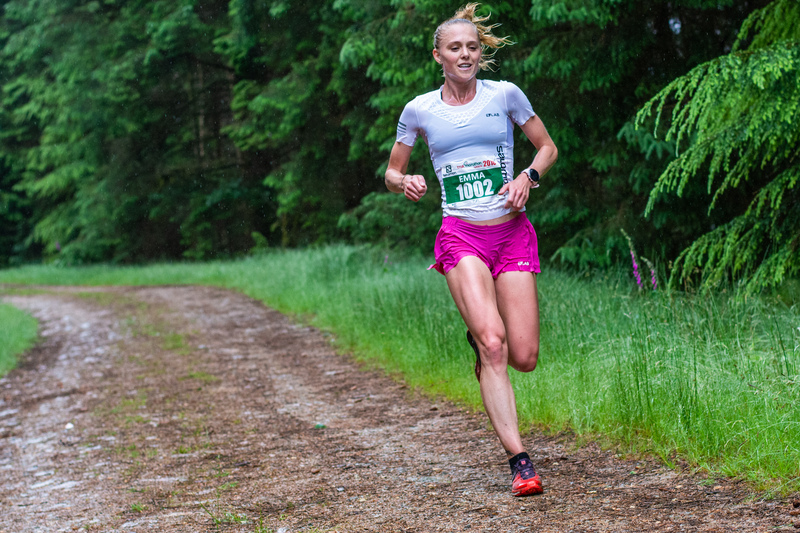 In the women’s race, GB and Salomon athlete Katie Kaars Sijpesteijn was coming into the race off some very big ultra-mile racing Europe and the Madiera Ultra Marathon only two weeks previous, where the Leeds-based athlete placed a superb 8th against some of the best in the world. 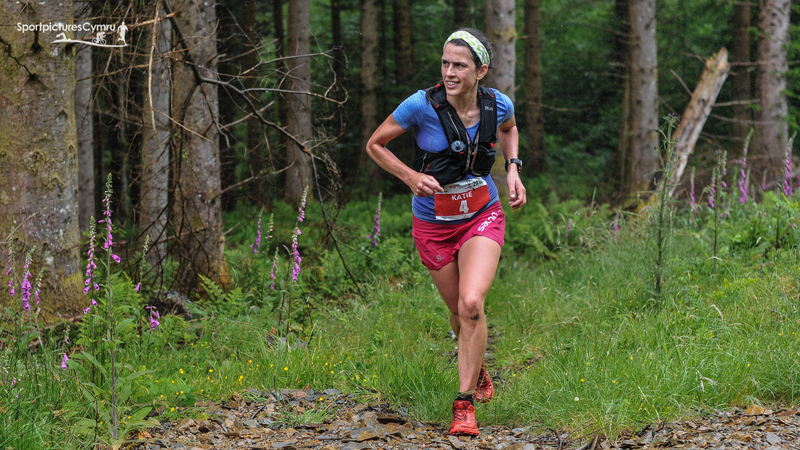 Up against her was the two-time winner of the Salomon Trail Marathon Wales race for women, Andrea Rowlands. 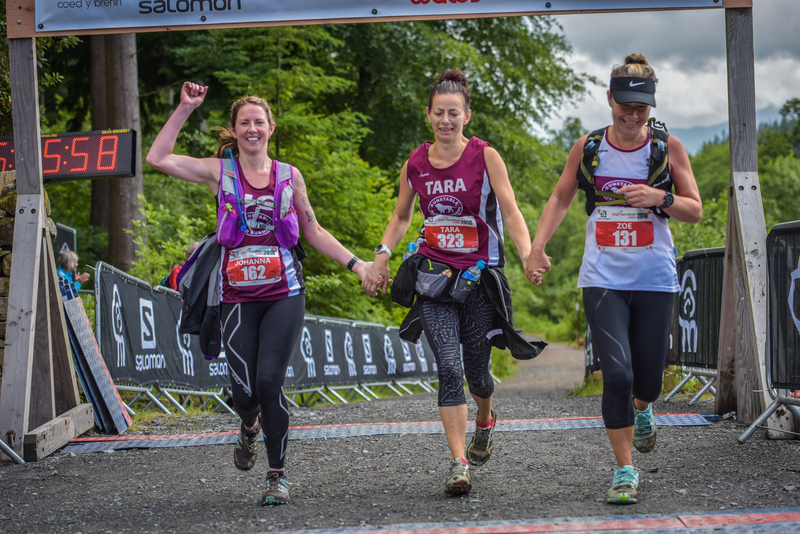 The Eryri Harrier is as tenacious and strong as they come, and whatever Kaars was going to throw at her Rowlands would be ready to match her stride for stride. So it proved as the two runners passed halfway within 40 seconds of each other. From here on the race radio was telling a story of Katie leading through each feed station and Andrea just seconds behind. However, as the miles wore on it was becoming clear that Kaars was extending her lead mile by mile and was set to come home winner. As she emerged from the Animal Trail section at mile 26 what was also apparent was that she was going to break Rowlands’ course record, as she raced home in 3:29:47. A sign of how Rowlands is only getting stronger as she gets older is the fact that she recorded a 4 minute PB on the course, finishing a brilliant runner-up for the second time in 3:30:45 – less than a minute behind Kaars Sijpesteijn. Clapham Chaser Alice McGushin ran a great race to take the final podium spot in 3:56:07. In the supporting half marathon race 2016 winner Max Nicholls was back to try and take a second title. 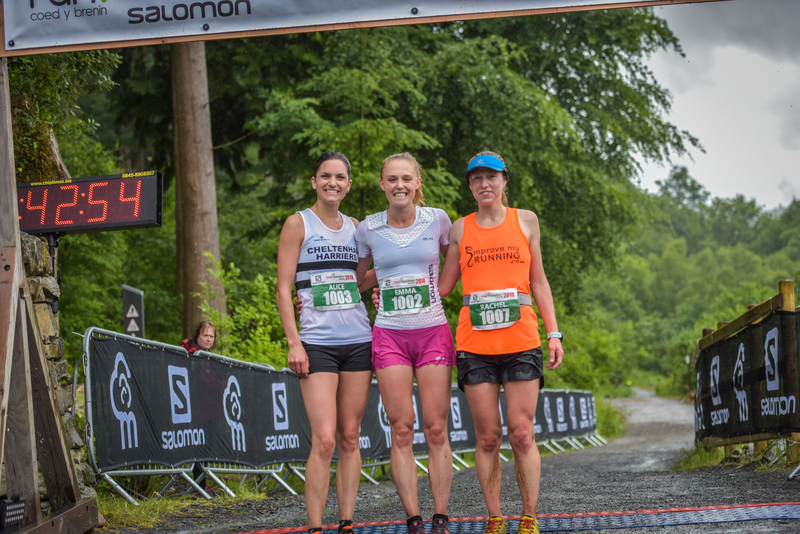 After a brilliant performance a few weeks earlier in Yorkshire to secure a place on the GB team for the up-coming European Mountain Running Champs, the Salomon athlete was obviously in fine form. 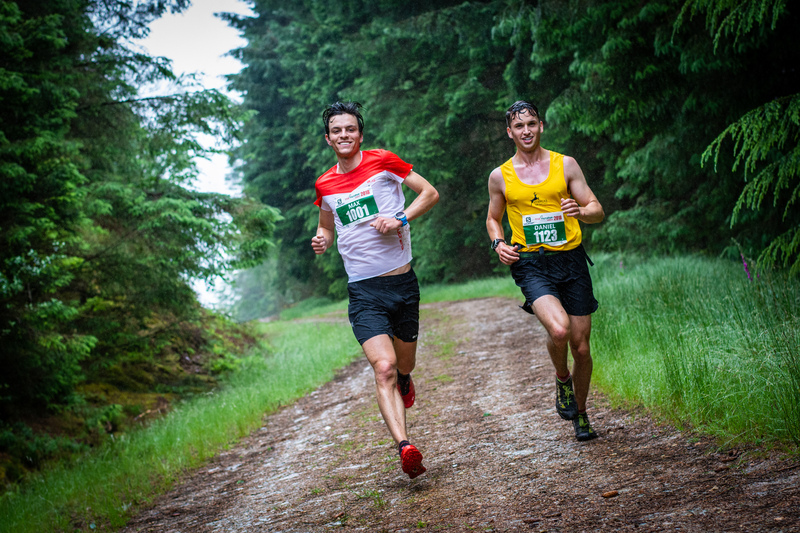 Up against him were Mercia runner Daniel Connolly and 2018 Buff Winter Trail Wales runner-up Dave Lawson. Nicholls and Connolly ran stride for stride over the first hour of the race as they entered the second feed station of the day at mile 10, which is where Nicholls decided to force issues and make a break. After opening up a 100m gap as they entered the Bailey Bridge at mile 11 the Kent runner recalled that he still had the notorious Sting in Tail climb (over 80m of elevation in just 600m of running!) to tackle. 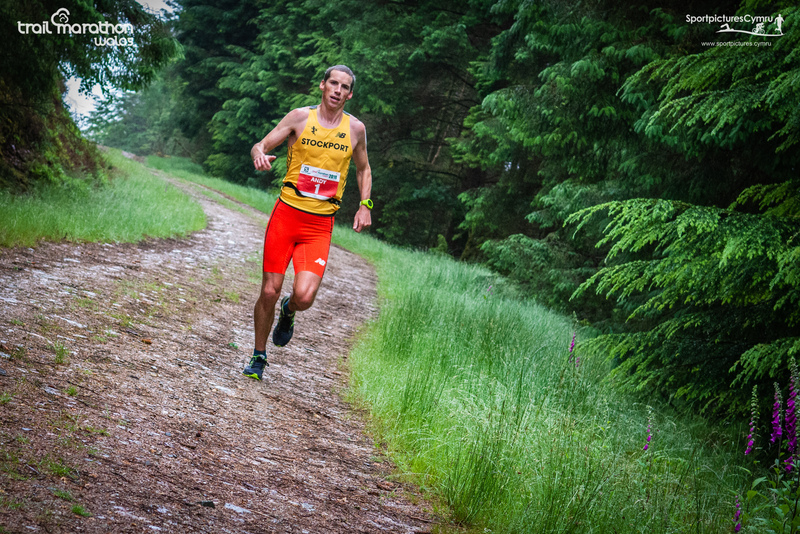 However, he should not have doubted his uphill power at this stage as he extended his lead over the chasing Connolly and entered the last mile able to relax, safe in the knowledge that by just easing across the last technical descent a second Salomon Trail Marathon Wales half marathon crown was his. Crossing the line in 1:25:05 Nicholls had extended his advantage to 90 seconds plus over Connolly, who finished in 1:26:44 for an excellent second place. Hastings runner Matthew Edmunds took the final podium spot after a big battle with Lawson over the closing miles. In the women’s race its was clear that this was to be a close race, as Emma Clayton and Alice Taylor stood side by side on the start line. Since her win in 2017 Taylor has gone from strength to strength and recorded PBs at many distances. However, if she was to overhaul Clayton she would need to run the race of her life. 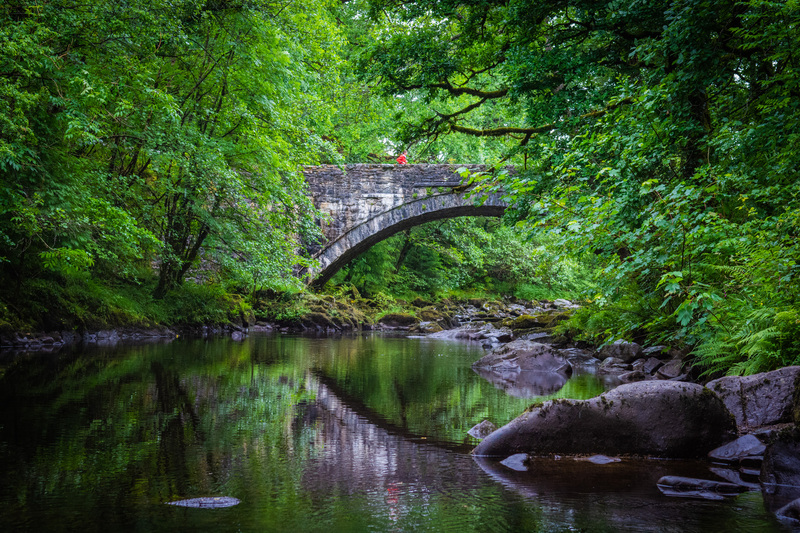 Clayton came into the race following a period of intense racing at the Yorkshire 3 Peaks Race and the world-famous Zegama event in northern Spain. After returning home, a new course record at the Otley Trail race last week showed that she was in great form. So it proved in the opening miles as she powered away from Taylor, with Edinburgh runner Rachel Normand running a controlled race in third. As the miles rolled on it was clear that Clayton was on for something special. Indeed the race record of 1:38:09 by British ultra runner Sam Amend was looking under serious threat. As Clayton rounded into the last mile it was clear that she was going to better Amend’s record. A sprint on the final 100 metre uphill finish confirmed things as she crossed the line in 1:36:36 for a new course record. Such was the performance of Taylor that her time of 1:40:45 was an improvement of over 5 minutes on her 2017 time, but good enough only for second on the day. Normand finished very strongly over the closing miles, barely 40 seconds back on Taylor in 1:41:29 to take third. “After last year’s heat today was a very different story weather wise. I think the runners coped with the conditions brilliantly and the times across the two races were top class.